China's 40.000 tons amphibious assault ship of the 075 class ready to show soon ! Certain people might not be ready for it ! 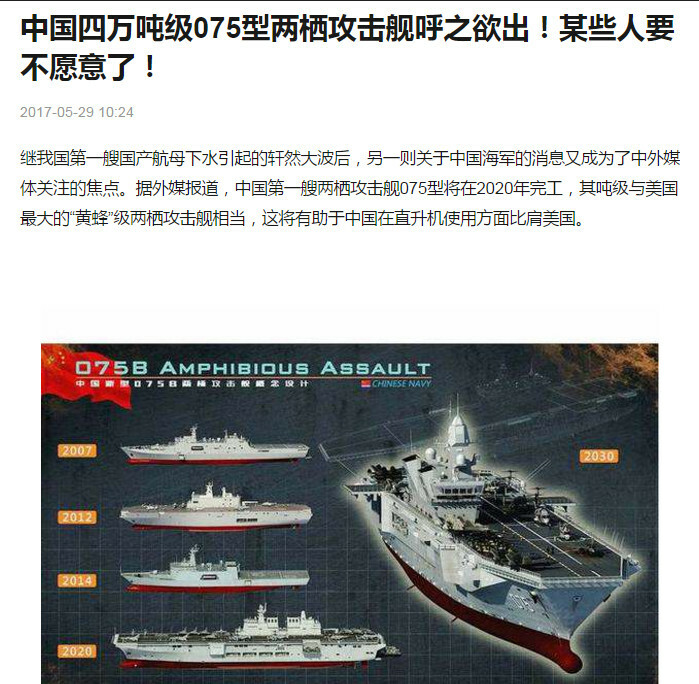 Following the mighty uproar caused by China's first homebuilt aircraft carrier being launched, another news item regarding China's navy became the focus of interest of foreign media. 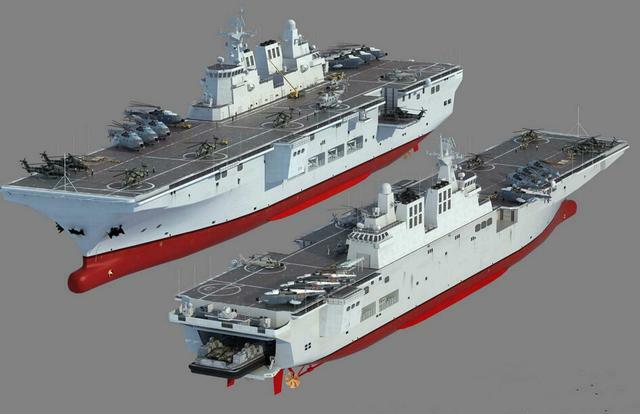 According to foreign media reports, China's first amphibious assault ship of the 075 class should be completed in 2020. Its tonnage corresponds to that of the "Wasp", America's biggest amphibious assault ship. This would help China to apply helicopters, such matching with the U.S.
[Chinese source published on June 3, 2017]. 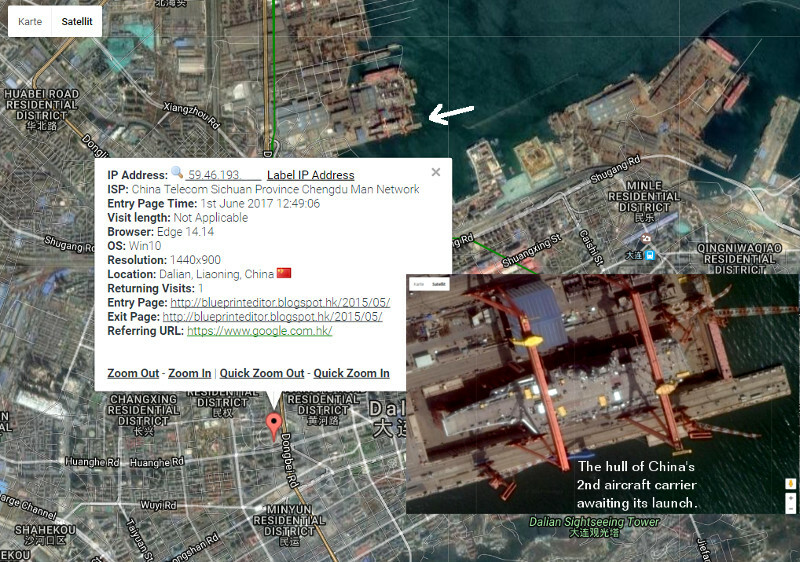 China's first completely homebuilt aircraft carrier was recently launched.